2 images. Interview, 26 August 1953. Miss Greta Sinha of India. Caption slip reads: "Photographer: Mitchell. Date: !953-08-26. Reporter: Frederick. Assignment: Interview. 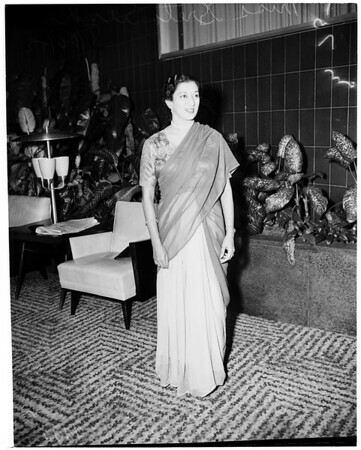 75-76: Miss Greta Sinha of India."